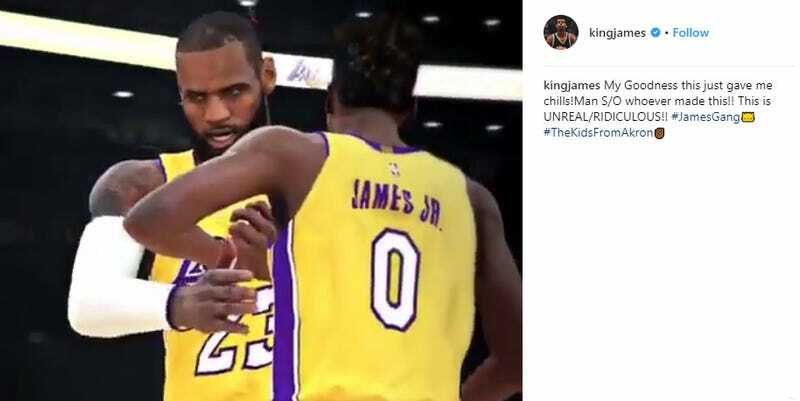 A 2K18 player has made this little mixtape vid of his game, which has created LeBron James’ son (LeBron James Jr.) and put him on the same Lakers team as his dad. It’s pretty good! Both as a video and as a vision of a possible future, where James sticks around in the league long enough for his almost-dunking son to make it to the NBA alongside him. LeBron, it was made by shady00018_, aka Shady, who is so good at this stuff that 2K asked him to make the intro clip for NBA 2K17.